Communication, information and knowledge have an interesting and coloured relationship and history. And in the Year of Fame - or perhaps the year that fame overwhelmed other formations and hierarchies of value - this relationship among communication, information and knowledge became in the oddest paradox visibly obscured. In this 2nd Part of my excursus on "2017: The Year of Fame and its Consequences" (and if you have jumped to this Part 2 and want to quickly read Part 1 first, just click here to go back to it) that explores the ramifications of contemporary fame through the lens of my own thoughts and resultant writing and presentations. How does the relationship between communication, information and knowledge become visibly obscured? In Part One, I referred to the odd political culture embodied by Trump and others. In understanding our increasingly online-oriented patterns of communication, what has arisen is a new truism - fake news or to use Oxford Dictionary's 2016 word of the year "post-truth". To call fake news a truism is an interesting word-choice as competing cultural interests have allowed a pervasive culture of opinion and posturing. Even the 2017 word of the year from Oxford implies a further blending of emotion, personal-to-collective appeal, and transformative generational disruption: "youthquake". My efforts at making sense of this transformed and turbulent world with its billions socially connected through social media, with a surplus of information and communication through these same elaborated networks has led me to think of new terms to describe our individual and collective identity and the manners in which communicatively they are connected. My new concepts and terms may not be listed Oxford's Word(s) of the Year, but I hope they come close to making some sort of sense of the contemporary moment and the transcultural and transnational instability. At the core of my thinking is the implications of fame - the will-to-fame that circulates around and through our social media forms of communication. The inner-core, the concept that has helped me work through this fame complex is persona. 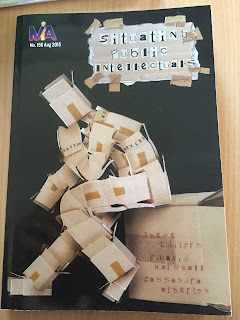 In my 2016 book, I associated pandemic with persona as I explored the pedagogical relations of how the public self of celebrity informed the public self of online culture. In 2017, I went further into the historical dimensions of fame and the way the contemporary forms of the mediatization of the self produced a way to read a transformed presentational regime. Much of this work is building from my work with Dr Kim Barbour from Adelaide University and Dr Chris Moore from the University of Wollongong. We have collaborated on many projects, not the least of which is the journal Persona Studies. ; but we have been working on our future book entitled (not surprisingly) Persona Studies: Celebrity, Identity and the Transformation of the Public Self for Wiley (which should appear at the end of 2018, all going well) and one of our major presentations of 2017 at least tried to capture its value. At the Toronto/Ryerson University Social Media and Society Conference at the end of July 2017. I led the presentation of our ideas, while Kim and Chris presented virtually. All of this occurred during my 2017 sabbatical when I was a visiting professor at the incredible Centre for Digital Media in Vancouver ( a collaborative Master's program across four universities - SFU, UBC, ECAD and BCITU - at type of collaboration almost unheard of in the rest of the world) and the Faculty of Information and Media Studies (FIMS) at Western University in London Canada. 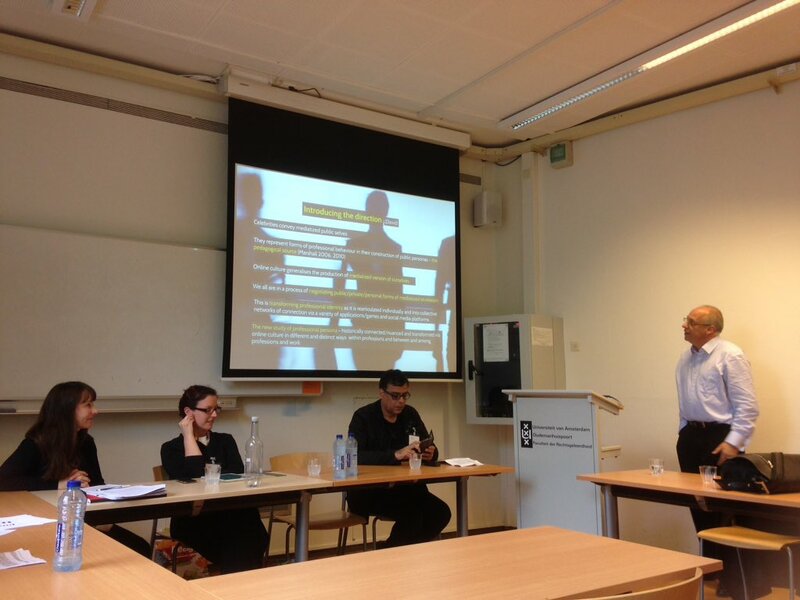 In between my work at these two institutions, I had the good fortune of presenting "Why Persona Studies? 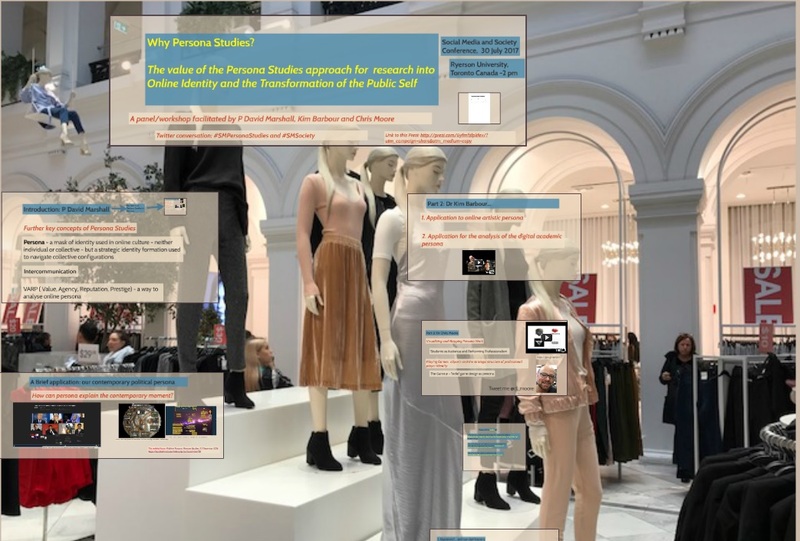 The Value of the Persona Studies' Approach for Research into Online Identity and the Transformation of the Public Self" (a mouthful of a title, but I hope it explains things!!). 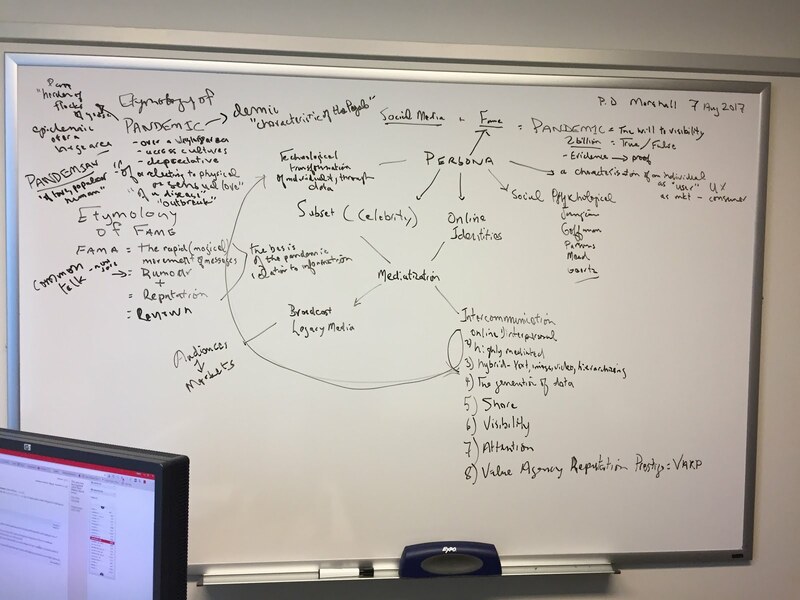 It worked through our three approaches through explaining key concepts such as VARP, Intercommunication, the way we define persona, its application for analysis and the online visualization/graphics research that we have also developed to map persona construction. The beauty of this presentation is both its graphics and the enduring videos of my co-presenters. 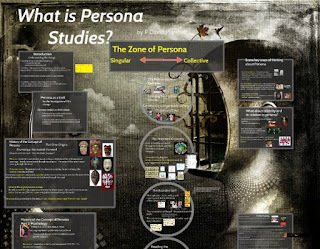 You can wade your way through the value of persona studies and its exemplifications of its important through the analyses of the online self here. Photo by (and thanks goes to): Andrew Mendelson, Ph.D. 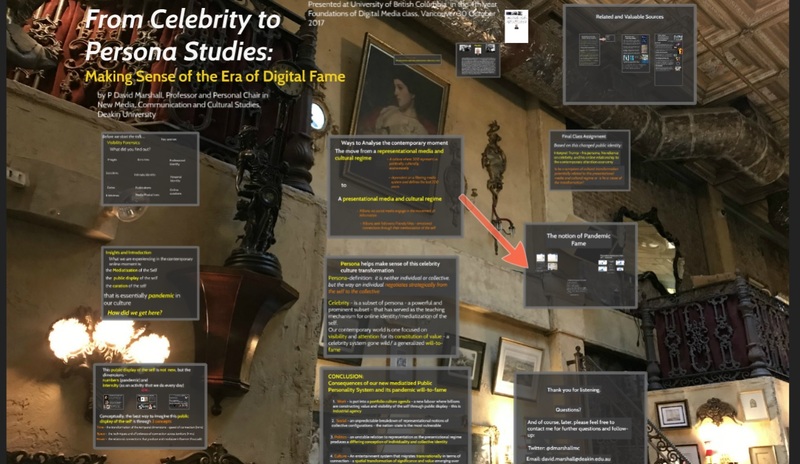 The research and work I integrated into my presentations helped further make sense of how fame was tranforming a diverse range of elements in the contemporary. 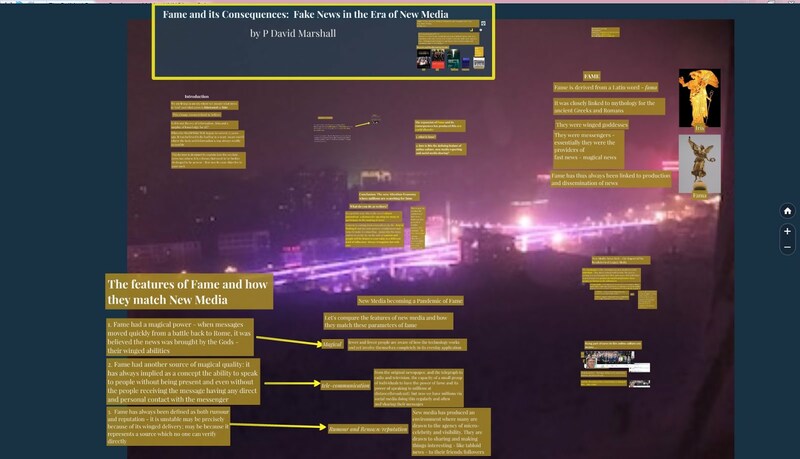 For instance, in a Key Note presentation at a conference at the Graduate School of Journalism in CUNY in New York City on the 1st of September, I integrated my past research into the uses made of "public intellectuals" across our news and media sphere. The talk worked through how individualized presentations of the self became the pattern through which mediatization manifests itself in the era of social media. Indeed, the presentation of the expert is a feature of podcasts, YouTube channels, and university-linked sites for the expression of both opinions and disciplinary expertise. 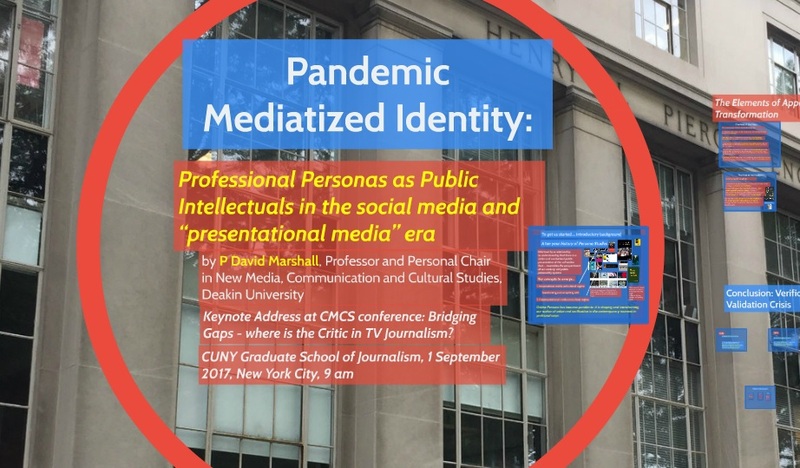 My talk entitled Pandemic Mediatized Identity: Professional Personas as Public Intellectuals for the CMCS conference- "Bridging Gaps - where is the Critic in TV Journalism?" 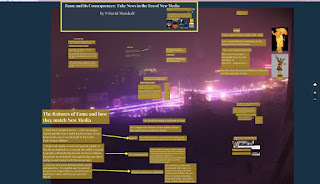 tried to capture the pandemic quality of mediatization and its historical migration in and through as well as now around journalism. 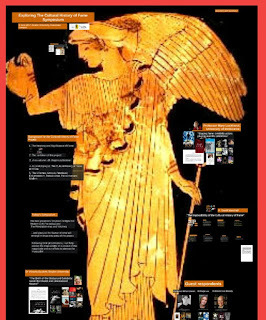 Central to this presentation was the exigencies of what I call the "presentational media and cultural regime" now rising through our online culture and its transformation of the "representational media and cultural regime" very much connected to what we now call legacy media. 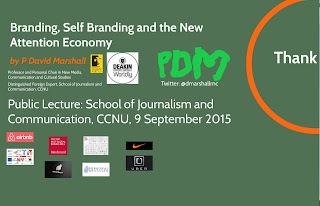 I managed to present a variation of this presentation at the School of Journalism and Communication at Carleton University on September 26th. I called it - naturally - Pandemic Mediatized Identity -2. 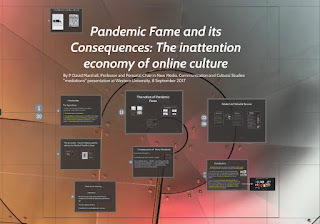 But, where I pushed my research into pandemic fame further was through a series of presentations I gave at Western, McGill, the Centre for Digital Media (CDM) in Vancouver and the University of British Columbia. At Western FIMS, I put together the Pandemic Fame and its Consequences presentation. It was here that I developed the term the "inattention economy" (and it is in the subtitle of my talk) to capture the intermittent flows of contemporary communication via online sources and sharing. It is also where I began utilizing further the historical notions of fame into the contemporary. Integrated into this thinking was an effort that I had developed earlier in a book I helped edit and write a few chapters called Contemporary Publics (2016): to understand the contemporary spaces of social media and our normalization and naturalization of its blending of private and public, we need to think of these spaces as "privlics". I understand this is an ugly neologism, but strangely useful. Explore it further through looking through this presentation here. I attempted to test the historical dimensions of my research into the interrelation of Fame and Persona through presenting my work - via the generous invitation of the scholar Brian Cowan - at the Classics and History Department at McGill University on the 20th of September, first through a workshop entitled Persona Studies Workshop: Persona’s value for Understanding Celebrity Culture and then with greater intention through my public lecture Fame’s Histories: The (contested) value of fame’s historical translation, comparison, and application for understanding the particular turbulence of contemporary culture. Taking this a step further, I wrote and presented a talk for a fourth year University British Columbia Digital Media Class on the 30th of October that in its subtitle traverses the way in which persona studies has helped uncover the will-to-visibility in online culture and social media: From Celebrity to Persona Studies: Making Sense of the Era of Digital Fame. Apart from trying to capture the movement through time with the Prezi's cover image of a pub/bar in the New York Times Square precinct which in its essence was blend of Victorian famed imagery with contemporary styles of libation style and presentation. 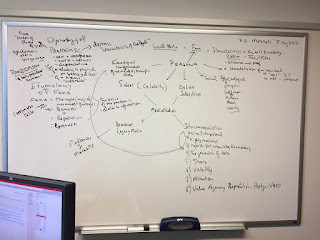 The complexity of the intersection of these ideas around fame, communication, information, knowledge, rumour, reputation, visibility, the inattention economy, the new word "privlic", and the new economic structure of the intercommunication industries has been both fascinating and overwhelming for me during 2017. 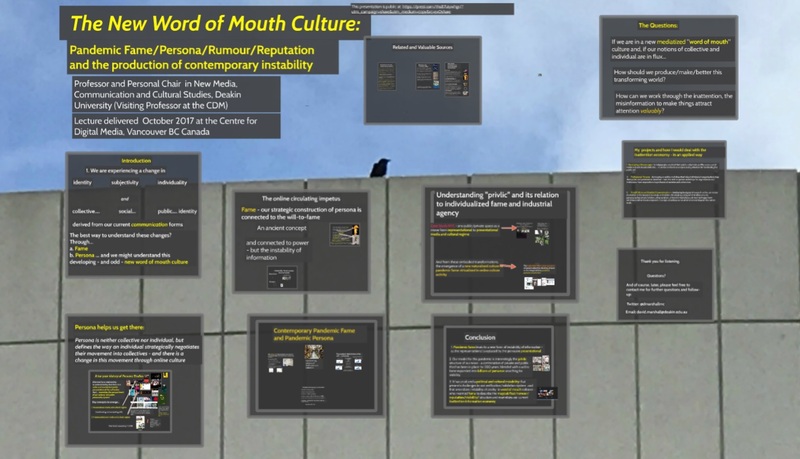 I think this research genuinely helps makes sense of our contemporary moment - its Brexit, Trump, Xi Jin Ping, Kim Jong-un, Instagram, Twitter, Facebook, and the era of pandemic persona that elevates a certain form of public individuality that is shifting our notion of collective selves and belonging. It needs researchers connected to politics to help explore the now visible traces of the breakdown of our systems of (political and cultural) representation. 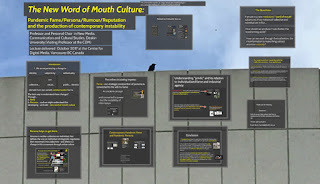 I will be working to collaborate on the analysis of this culture instability drawing on my work on online persona and trying to further comprehend the individualized, mediatized fame pandemic which is producing a different system of connection. I am very happy to hear what others think. In my next post, I will convey some of the new directions I am pursuing in 2018 - all of them certainly derived from this year of Fame and its consequences. Also if you want to know about any of the background images of my presentations, I am also willing to share that they are generally my photos - of course like memes, photos are combination of what already exists and, in a material sense, made by someone else.... just another thought. 2017 was a challenging year. It seemed millions fed into the Trump Persona by pushing analytical articles, opinion, memes and satire around this new American President. His presence - as I developed with Neil Henderson in late 2016 - has helped distill the new form of politics that is emerging through our emerging system of what could be effectively called our new information/knowledge complex (to echo Eisenhower's effort at identifying our 'complexes'). Instability, turbulence, fake news, challenges to authority, and affronts to what many had believed were permanent institutions checkered our equally unstable public - if public could ever have again a collectively agreed-upon sense of what it entails - consciousness. Somewhere in this melange is a transformed public personality system, something transformed by the pandemic drive to public presentation of the self via social media in all its platforms that has shifted our flows of information and our sense of collective selves. We need some way to describe all this. 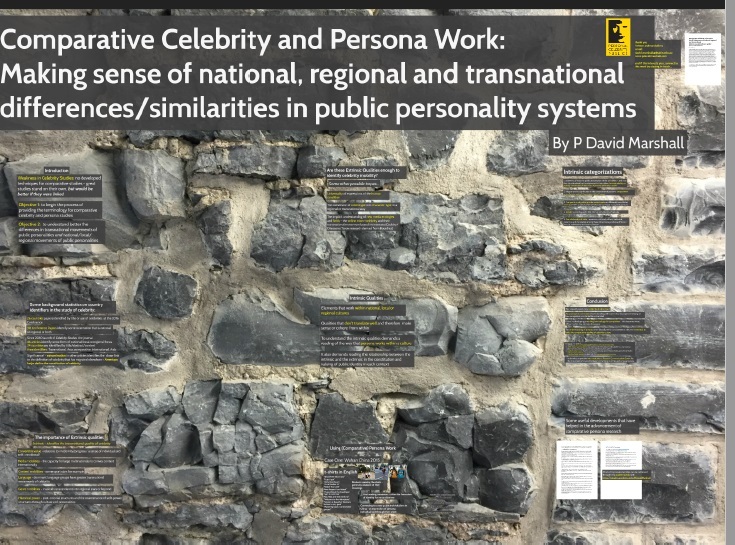 Along with colleagues, I have been developing Persona Studies and trying to understand the online strategic formation of our identities as we share and network. But what I discovered in my research and thinking this year that a term that I used in a subtitle to my first book actually has provided me with an intellectual breakthrough for understanding our contemporary moment. 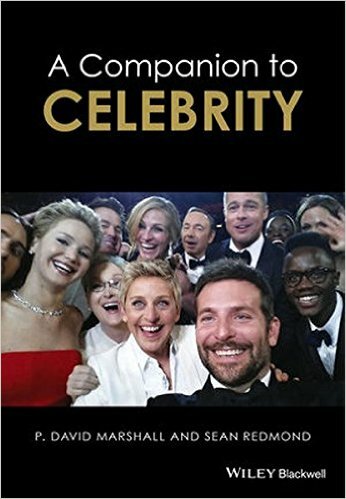 The term is Fame and, in its new formations in our contemporary world, we are experiencing a different iteration and are living with its consequences. I am indebted to the scholarship of Gianni Guastella and his brilliant book Word of Mouth and its exploration of (and its subtitle) Fama and its personifications in Art and Literature from Ancient Rome to the Middle Ages. I also had the opportunity this year to experiment and test this research direction with and among colleagues at universities and centres of research in different parts of the world. For half the year I was on sabbatical - what my university calls Academic Study Program or ASP. 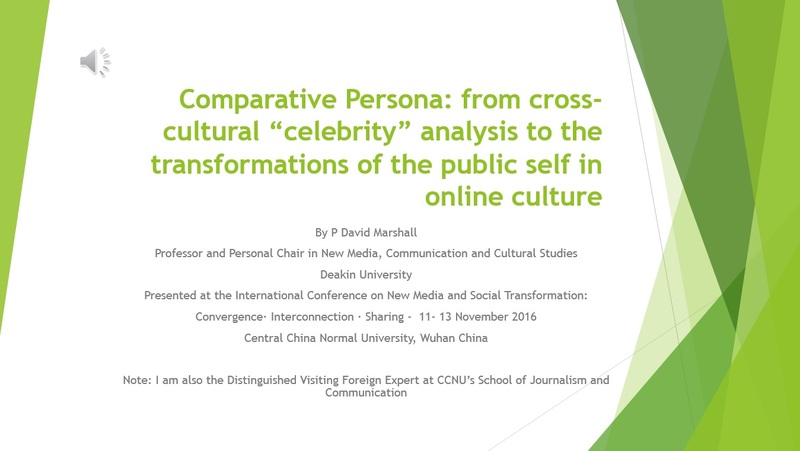 Along with my annual connection to Central China Normal University (Huazhong University or 华中师范大学) in May as their distinguished visiting scholar and my regular collaborative work at my home Deakin University, I worked to advance these ideas that relate to fame and how the historical conceptualization of fame explains our contemporary world. 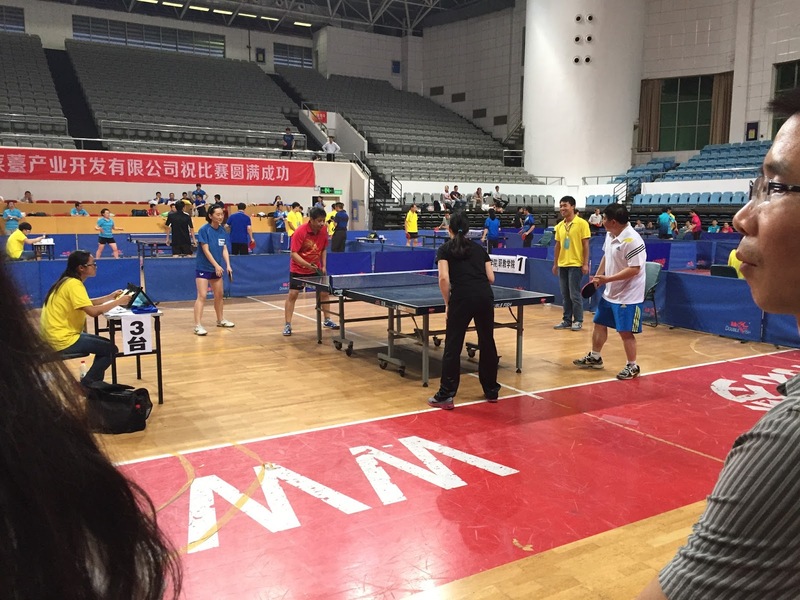 My first efforts at making sense of pandemic fame were interesting forays at the Central China Normal University (CCNU) and at the University of Nottingham - Ningbo Campus' School of International Communication were I gave some public lectures of note. Housed in their School of Journalism and Communication at CCNU, I circulated around some of my ideas. In one presentation, I presented in my usual Prezi format something entitled "Fame and its Consequences: Fake News in the Era of New Media" where I advanced the ideas of the clear links between "fama" and its instability in the production of information and facts in antiquity resembled our facade of information riches where something resembling a rumour and word-of-mouth culture was resurfacing through our online culture. Feel free to take a look here at the presentation and certainly tell me what you think of these nascent ideas. In some ways, my presentation at the School of International Communication at the University of Nottingham Ningbo Campus was a way to play in this same space but make the direct implication-to-explication of the political shift we are living through, observing and sometimes hectoring - incoherently on occasion - almost daily for over a year. The presentation's covering image - as you can see, a collage of a challenging group of international leaders who in various ways are transforming our models of conventional politics - is designed to push our thoughts away from some notion of a new populism and recognize that our structures of contemporary communication with their algorithms, with their push to a generalized will-to-fame is restructuring our relation and connection of the collective to the individual in foundational ways. 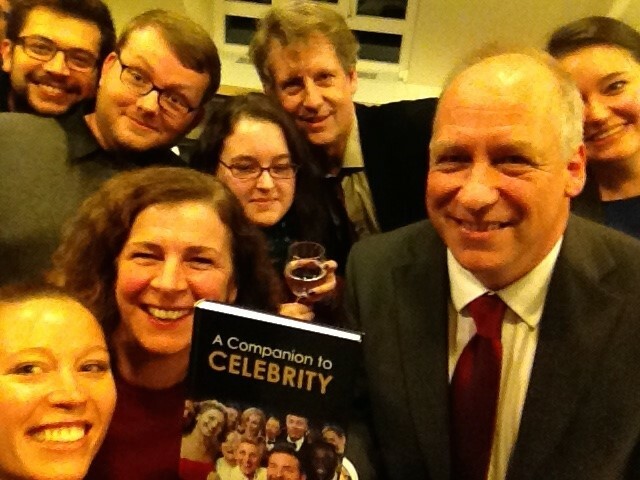 It is complex; but in its complexity it is linked once again to the consequences of fame and the forms of contemporary affective connections being circulated, shared and reformed in our new blended politico-cultural milieu. 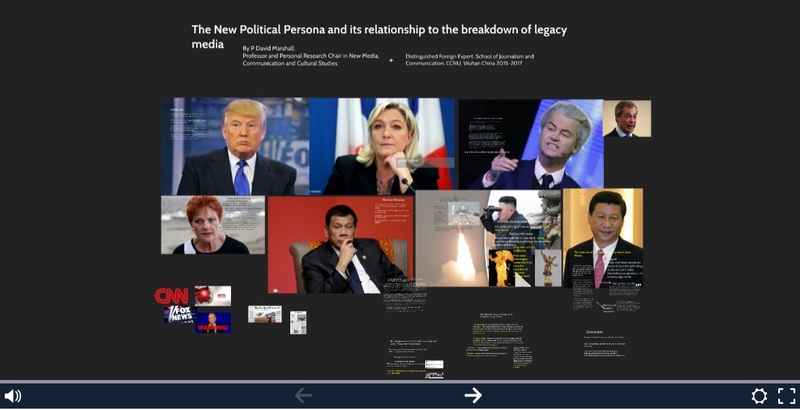 The presentation's title, The New Political Persona and its relationship to the Breakdown of Legacy Media pinpoints the way that our legacy media was instrumental in supporting a representational media and cultural regime. Our new digital and social media - organized in my terminology through the intercommunication industries - is heralding a presentational media and cultural regime: this shift identifies the new politics, but does not produce a parallel institutional framework for those politics as spatial and even temporary boundaries that have informed our national and cultural identities are much more fluid. The mistake many are making in analysing the contemporary moment is perceiving a new nationalism: this visible putsch across Europe and North America and beyond is more a reaction to collective - and individual - instability and connection. Future political patterns because of this visible, vocal and online "chant" of holding boundaries are more difficult to discern; but in a conjectural way, I would claim they are less connected to our legacy/representational political legacy of the nation-state and perhaps its associated formations of democracy. The presentation is here if you would like to wade your way through my thinking around media and the new political persona. 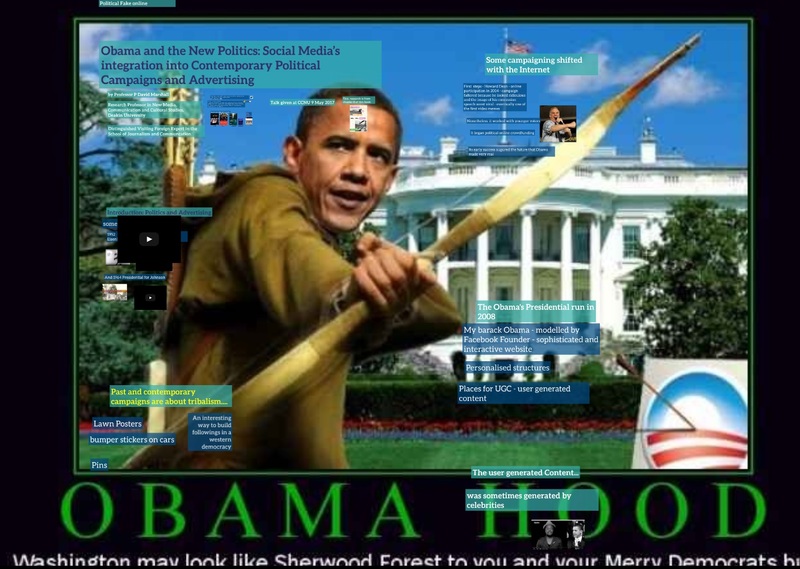 Linked to this analysis of Obama was another public lecture I delivered at CCNU. 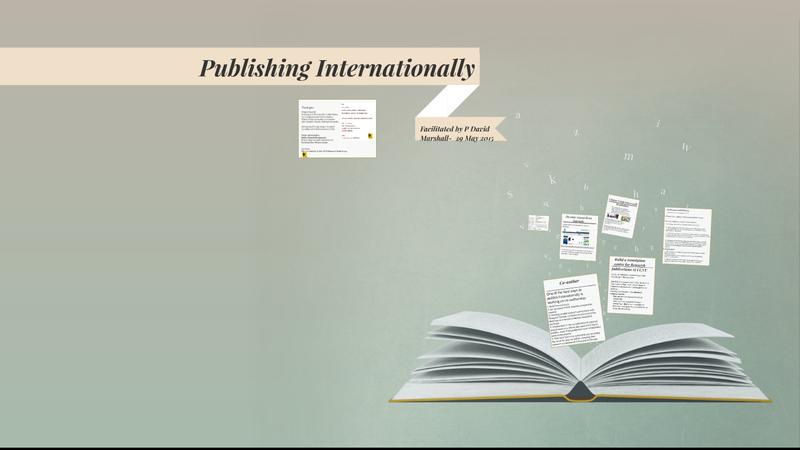 Over the last two decades there has been a great flurry of thought and publications concerning globalization. 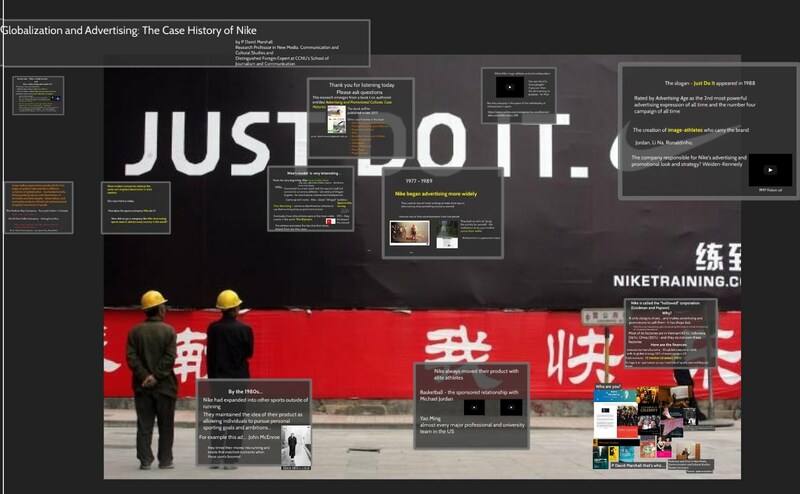 In a presentation entitled Globalization and Advertising: The Case History of Nike, I mapped the promotional relationships in producing the transnational production and distribution of Nike products over the last 40 years. The "shell" of Nike and its contemporary beauty is that it designs many material objects, but outsources their fabrication: Nike physically makes nothing. This has permitted a fascinating pathway for a product to attach to various monikers within various cultures through their emotive associations with sports and the individuals who embody them. 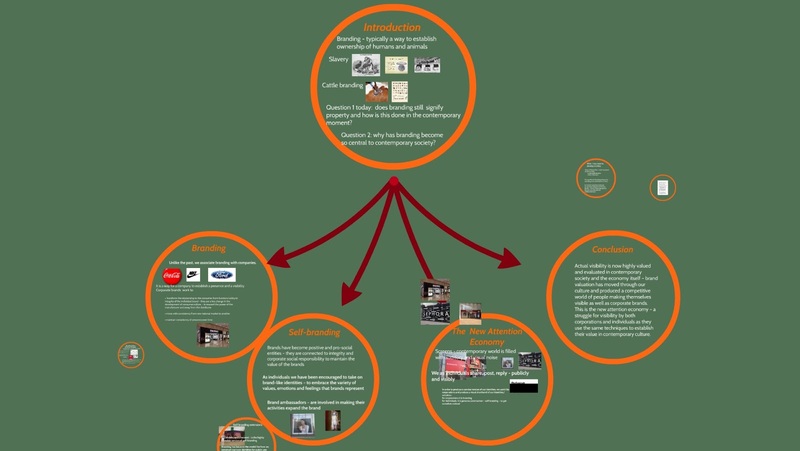 Take a look at the Prezi presentation here. I have to acknowledge that these last two presentations actually come from a longer arc of research, one that has been brewing, cultivating and leading to many drafts for more than 6 years. Both are now chapters in what I hope will be a valuable book for others. 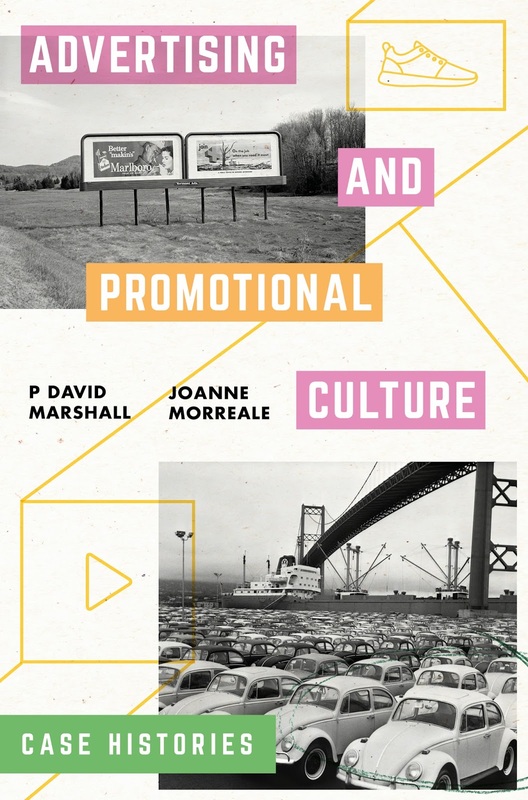 With my co-author Joanne Morreale from Northeastern University, we just published (4 February 2018) Advertising and Promotional Culture: Case Histories with Palgrave-Macmillan. Through 11 case histories, we chart the last 170 years of advertising. Our goal: to use this closer analysis to identify the continuities of promotion in the contemporary world. Our conclusion identifies a new tribalism emerging that is informing politics and beyond, a persistent element of promotional culture of always providing for a better imagined future and thereby fostering a perpetual culture of consumer instability, a new participatory frame for this relationship to products and services where consumers add value/images in the form of "prosumption", and an elaborated attention economy that blurs the lines between entertainment and promotion with increasing sophistication. 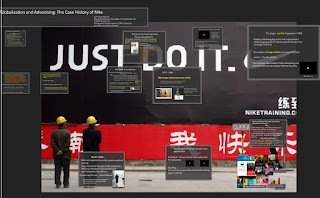 All of these contemporary tropes have historical precedents in our studies of self-branding, department stores, cigarettes, the bizarre emergence of the breakfast cereal production and promotion industry, IKEA and its formation of modern self and design, Volkswagen and the campaigns that segmented the automobile market into "alternatives" and counter-cultural, Dove's efforts at consumer activism, the YouTube sensation of Annoying Orange, and the long promotionally-driven history of patent-medicines and cigarettes. What is a gesture? How do we express our emotional state? I am beginning some research on gestural communication. it is important to recognise that this is a building phenomenon in our contemporary online, social media and mobile forms of communication. Some of this research can be understood as the emergence from emoticons to emojis and stickers in text-based and image based interpersonal and intercommunicative communication. What follows here is in support of my first presentation/seminar in this interesting research space that informs our personas in so many ways. 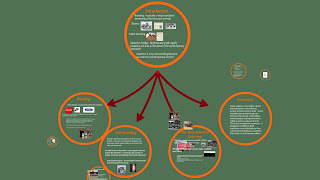 More detail is actually in the presentation which can be found here in the actual prezi. What follows are the animated gifs and memes which describe the extensions of gestural communication as they move through and in some ways get more complex as patterned glyphs where the specific "tribe" in contemporary culture appreciate them and, more importantly, understand them. There is much more to come in this work, but this is a start. Enjoy the Stickers - the rolling gifs and meme gifs that surround and inhabit this post - take a look at the presentation, and of course, tell me what you think.... I am looking to collectively advance on this and need to hear what many others think of this. Along with these blog posts (which are notoriously infrequent!! 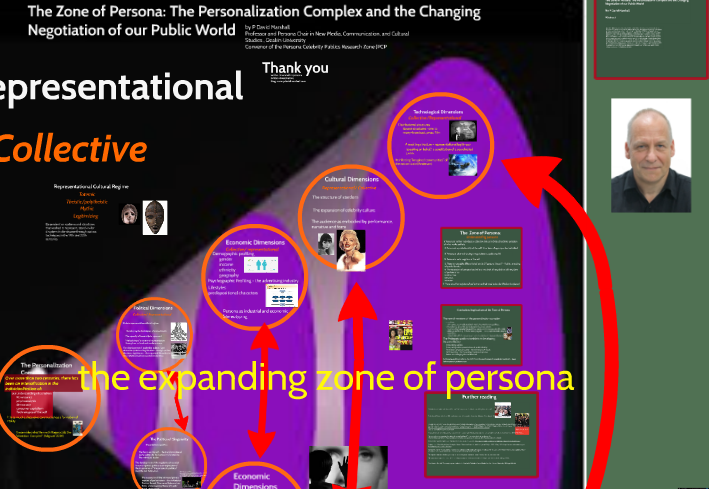 ), my public presentations at conferences and universities are also a form of persona construction. I am put in positions where I am positioning my new directions in research into existing departments, disciplines and sub-disciplines. As much as Persona Studies is growing and is getting better known, its ultimate value is its utility in key areas such as media studies, communication, new directions in literary studies including biography and life-writing, anthropology, cultural history, online and Internet studies, sociology, political science and cultural and inter-cultural studies. I perform into these intellectual spaces and hope that some of the ideas that I have been developing will have both value and impact. This year I have been developing the way persona is differently constituted in different settings. In the early part of the year in developing a research grant, I expanded on way that digital persona is transforming professions and their public identities. Similarly- and you will see it later in this post - I have been thinking through the idea of comparative persona. I want to make research both in the study of public personalities and celebrity and the wider idea of persona identifiable within different regions, nations, cultures, ethnicities, and media and cultural practices and I want the terminology employed to facilitate useful comparisons so that no study is isolated and its applications of concepts make it valuable to other studies in other national/regional settings. This is not an easy task and demands connected to a large number of people. But some of my work this year is building such a network of scholarship and research. 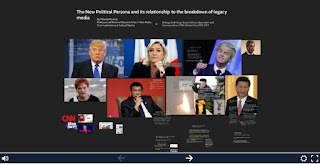 This particular area of study is best called comparative persona and I have worked out the ideas and formations of these ideas in several of my presentations and public lectures over 2016. 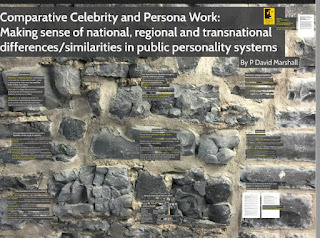 Comparative Celebrity and Persona Work: Making sense of national, regional and transnational differences/similarities in public personality systems, presented at the 3rd International Celebrity Studies Conference, University of Amsterdam, Amsterdam, The Netherlands, 28 June, 2016. Collaboratively, I have been working on a parallel initiative to work out how our online professional identities are in flux. 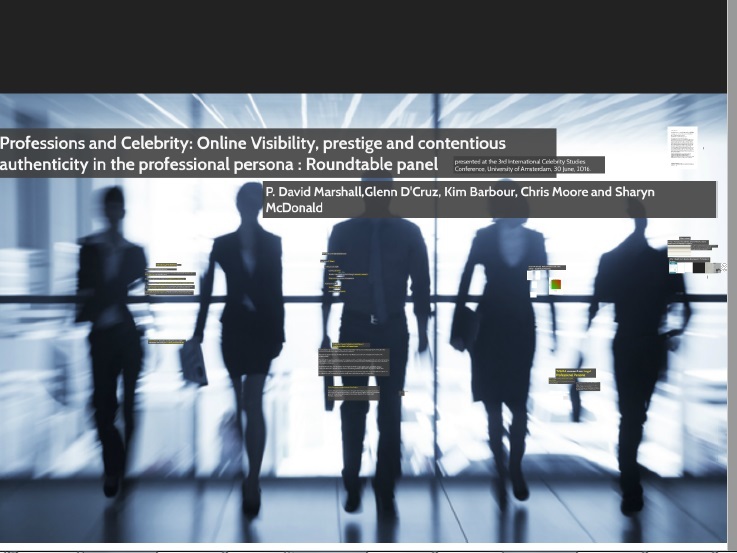 We presented at the same Amsterdam conference on Digital Professional Persona and here is the link to the prezi. 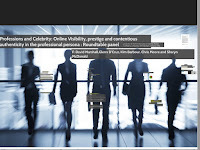 In its exploration of teaching, gamer, sports professionals in the media, lawyers and doctors, the presentation explored the transformative quality of online presentation of the self and how it is transforming the individuals and their public display of their professional personas. Dinner Talk at the Transplant Society of Australia and New Zealand (TSANZ) at the University of Sydney's Great Hall in April of 2016. 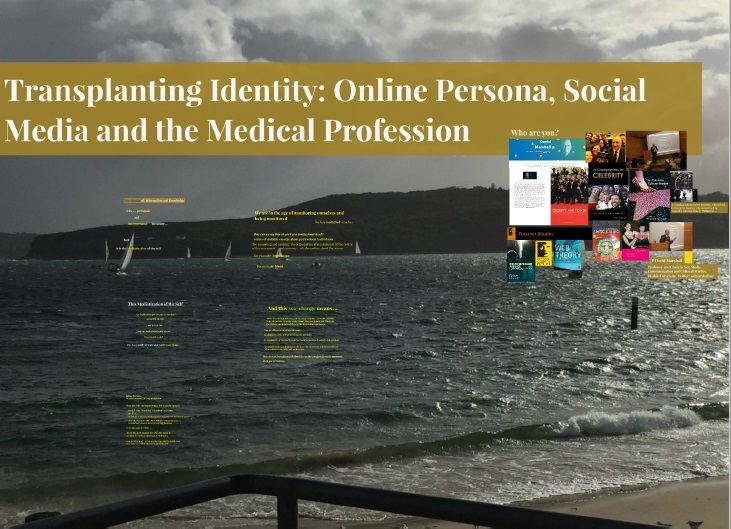 My work highlighted the level and range of online identities that are now part of the medical scene and how their expertise was being charted, monitored and then shared in a variety of ways. These particular medical experts are the ones who are lifesavers in their transplanting of vital organs; but their lives are at least partially re-organised by themselves or others through their online personas. 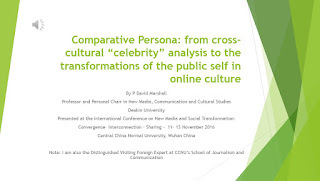 There is a great deal more work and presentations that I delivered in 2016; but this group summarizes my particular efforts in exploring comparative persona. In future posts, I will expand on the lexicon of terms that I think are needed for these kinds of studies of how online culture is shifting an incredible range of public identities. 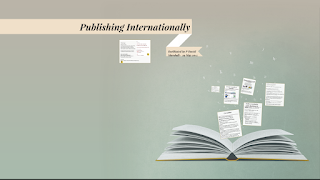 As I indicated in these presentations, if this area of inquiry interests you, we are trying to build up a team of researchers to investigate comparative persona and professional persona more widely. 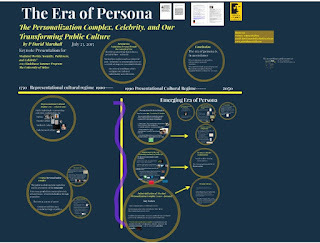 What we need is expertise in particular regions and nations related to how persona is expressed publicly and how that resembles other public personas in other parts of the world; augmenting this is research on how these kinds of public identity configurations are producing patterns of personas across online culture. More to come in my next posts... I promise the gap between posts this year will no be so long, so check in regularly.